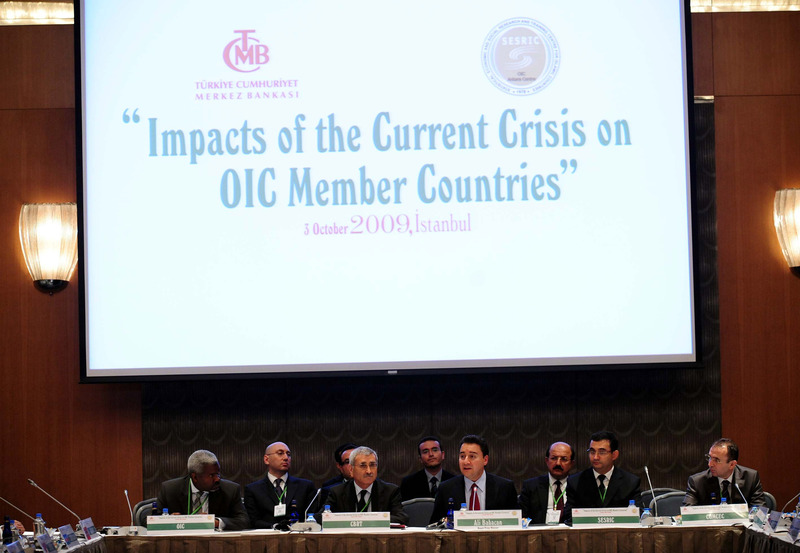 The Meeting of the Central Banks and Monetary Authorities of the OIC Member Countries was held in Istanbul, Republic of Turkey, on 3rd October 2009 on “Impacts of the Current Crisis on OIC Member Countries”. 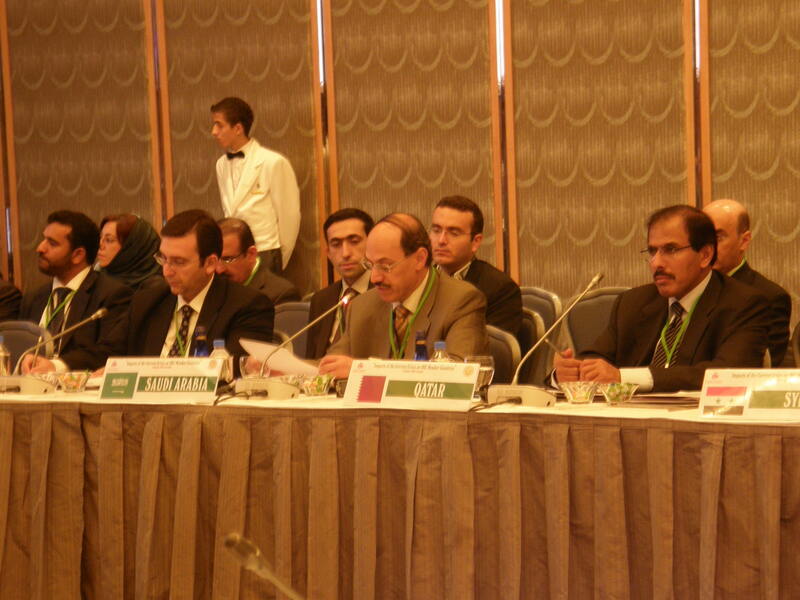 The Meeting was organized jointly by the Central Bank of the Republic of Turkey and the Statistical Economic and Social Research and Training Centre for Islamic Countries (SESRIC) on the occasion of the 40th anniversary of the Organization of the Islamic Conference and the 25th anniversary of the OIC Standing Committee for Economic and Commercial Cooperation (COMCEC). 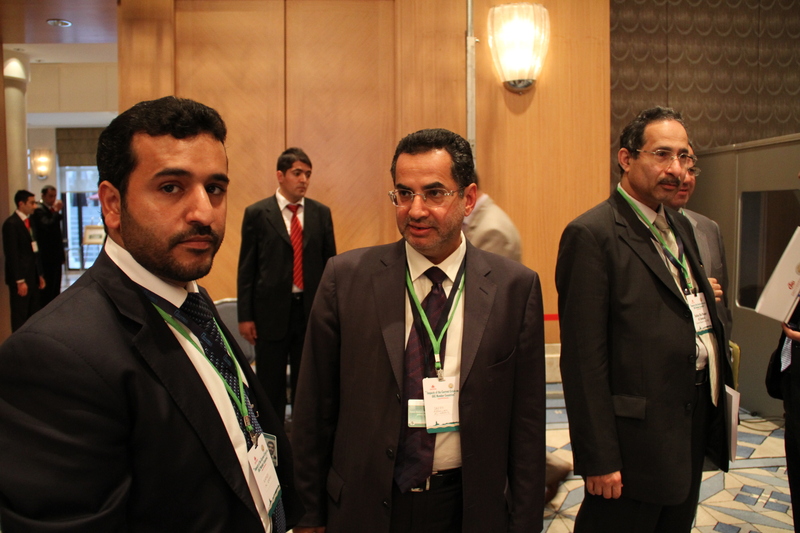 The Meeting was attended by H.E. 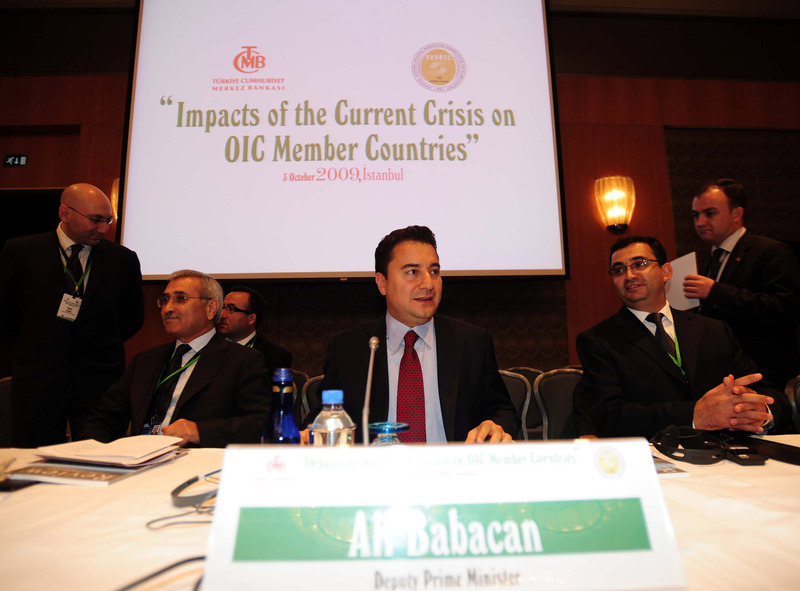 Mr. Ali Babacan, Minister of State and Deputy Prime Minister of the Republic of Turkey, Governors of Central Banks and Monetary Authorities of OIC Member Countries, the OIC General Secretariat, COMCEC Coordination Office and the SESRIC. 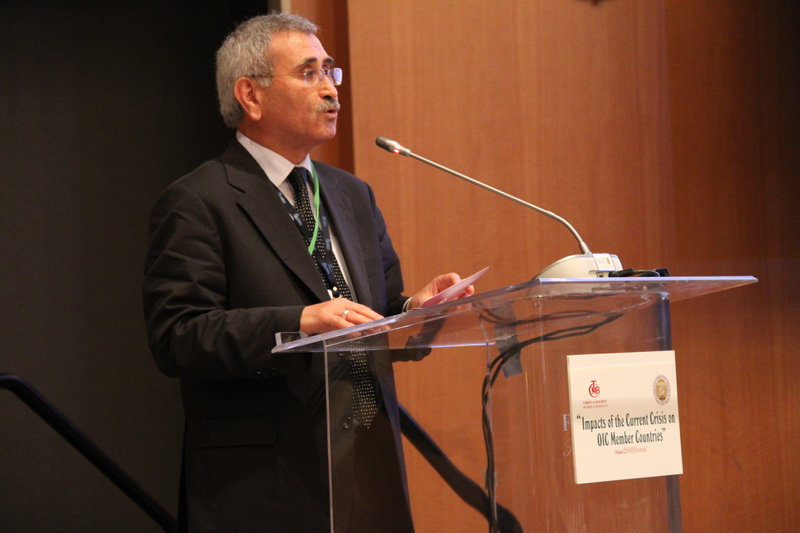 At the opening session, Mr. Ahmet Yaman, Deputy Undersecretary of the State Planning Organization of the Republic of Turkey, read the Message of H.E. Abdullah Gül, President of the Republic of Turkey and Chairman of the COMCEC. 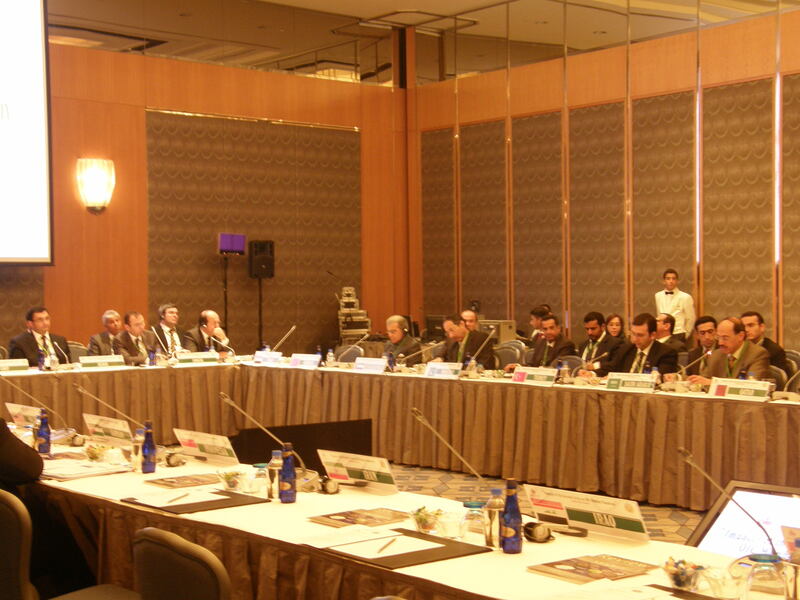 In his Message, President Gül expressed his pleasure that the Governors of the Central Banks of friendly and brotherly OIC Member Countries are gathered in Istanbul to discuss and exchange their precious experiences on current economic and financial developments. President Gül also expressed his strong believe that this initiative will provide opportunities for OIC Member Countries to further strengthen cooperation and collaboration among their Central Banks and Monetary Authorities. President Gül concluded his Message by expressing his wishes for the full success of the Meeting and by extending his congratulations for all participants and organizers of such an important initiative. 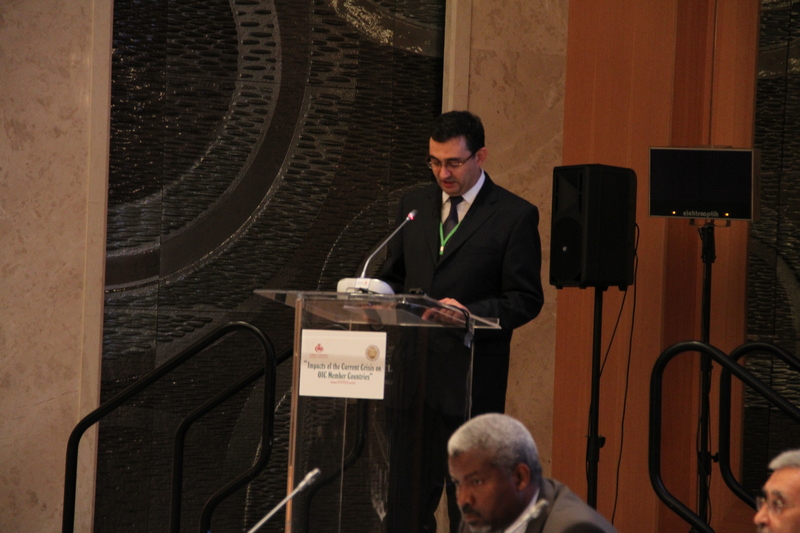 In his statement at the opening session, Dr. Savaş Alpay, Director General of SESRIC, dwelled briefly on the current global financial crisis and its negative impacts on the world economy in terms of continuous slowdown of economic growth and high unemployment rates in many countries around the world. 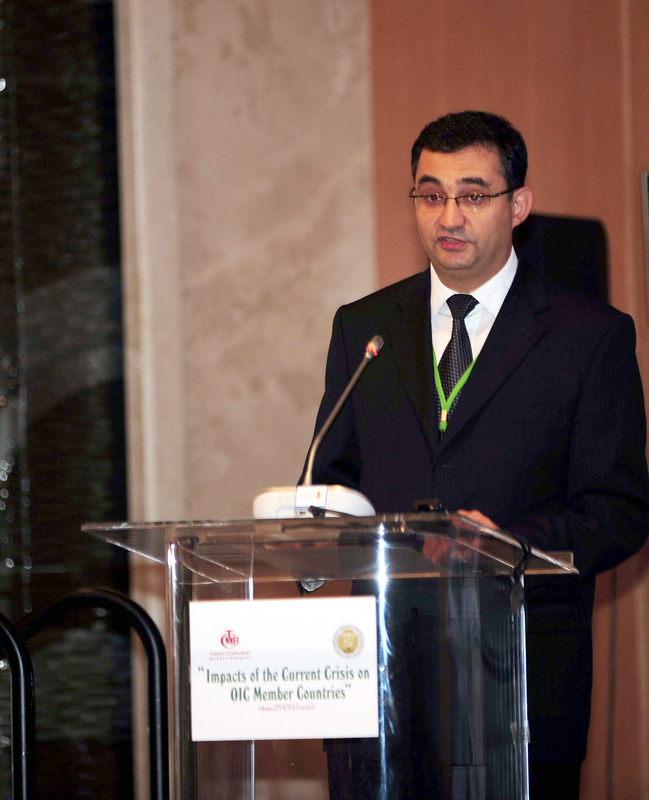 Dr. Alpay said that many developed and developing countries are still struggling to curb the adverse impacts of the global recession and, in particular, to reduce the burden of unemployment on their economies. In this context, he mentioned that the biggest and real cost of the crisis is still the opportunities lost for restructuring the current international financial system and that leaving this system as is will, undoubtedly, lead to repetition of financial crisis in the future. In this context, Dr. Alpay said that the current financial crisis has raised many voices which call for rethinking of other alternative financial systems. Among these alternatives, he mentioned that a financial system based on Islamic principles, (such as equity-based financing and real activity-based transactions) has attracted the attention of many. Dr. Alpay said that the conventional financial instruments such as collateral debt obligations (CDOs) and credit default swaps (CDSs), which stand at the heart of the current crisis, are either not allowed or regulated very tightly in a financial system based on Islamic principles, and, thus, many researchers come to argue that the current global financial crisis could have been avoided if such a system had been in place. 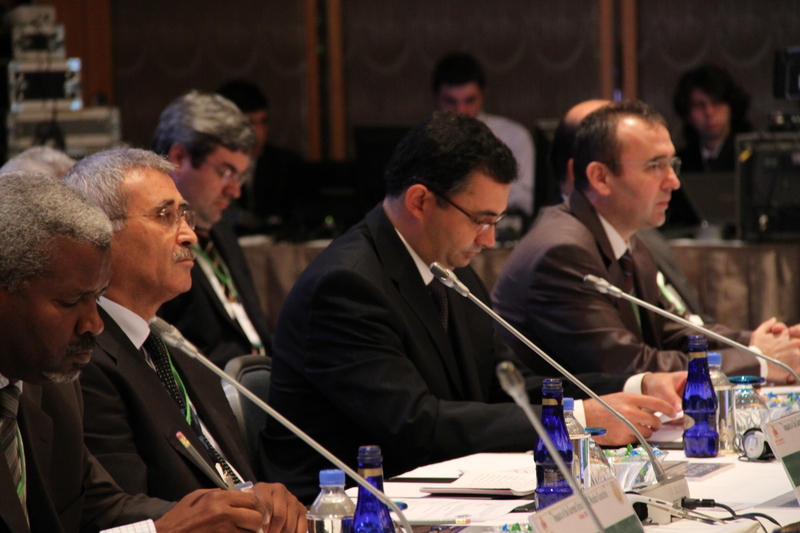 In this connection, Dr. Alpay mentioned that the OIC Community can make a significant contribution to the international community by presenting the financial system based on Islamic principles that would function as an effective intermediary for real sector and thus, undue financial crisis can be avoided in the future. In his statement at the opening session, Mr. Durmuş Yılmaz, Governor of the Central Bank of the Republic of Turkey, welcomed the participants and expressed his pleasure to host this event and such distinguished participants in Istanbul. He highlighted the negative impacts of the global financial crisis since the last quarter of 2008. 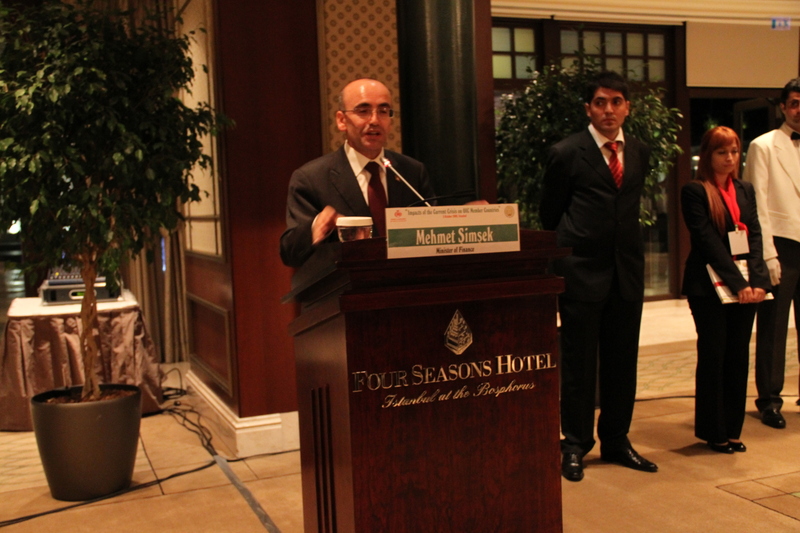 Mr. Yılmaz mentioned that the unprecedented policy reactions, which have been so far taken by the governments and central banks worldwide, have very recently managed to stabilize the financial conditions of banks, reduce funding pressures, decrease liquidity risks and ease the tension in international markets. Yet, he said that although emerging market equities have rapidly gained ground, bond spreads have narrowed and volatility in exchange rates came down, the fragility in the financial sector and reluctance in consumption and investment is likely to continue in the near future. Mr. Yılmaz mentioned that global problems require global solutions where coordination is especially needed in terms of better regulation and supervision of financial market instruments. 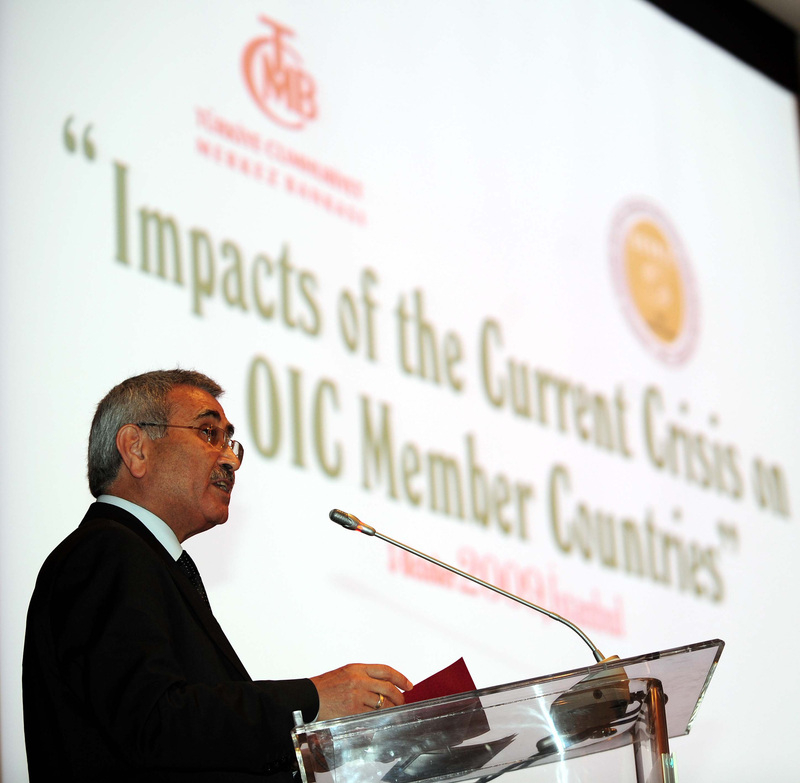 In this context, he emphasized that the success of the OIC member counties depends on the formation of measures to increase trust and establishment of a close cooperation in economic and commercial areas. He underlined the importance of sharing the experiences on financial policies and central banking in the member countries and mentioned that annual meetings of the Governors of the Central Banks of the member countries will be very important in terms of catching up with the world’s agenda and following up the recent global developments as well as enhancing the functioning of the active mechanisms of communication in international platforms. The Meeting proceeded with two consecutive panel discussion sessions on the theme “Impacts of the Current Crisis on Member Countries: The Precautions and Outcomes”. 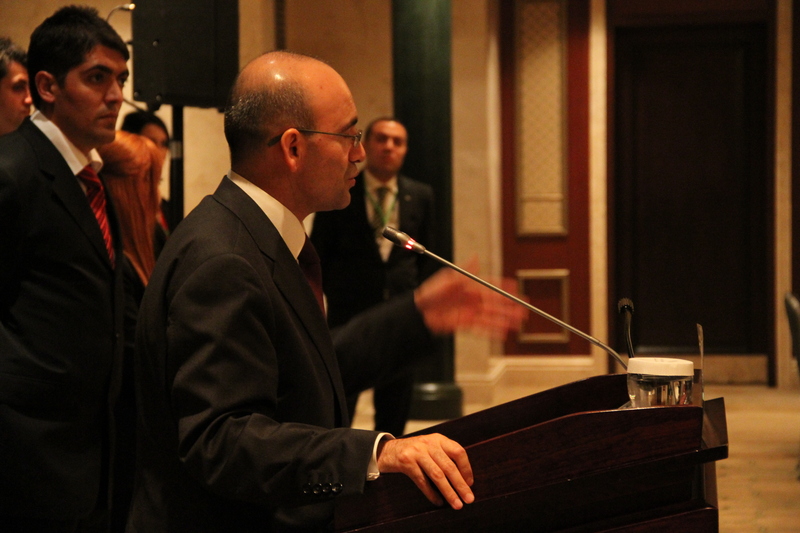 The sessions were chaired by Mr. Durmuş Yılmaz, Governor of the Central Bank of the Republic of Turkey. 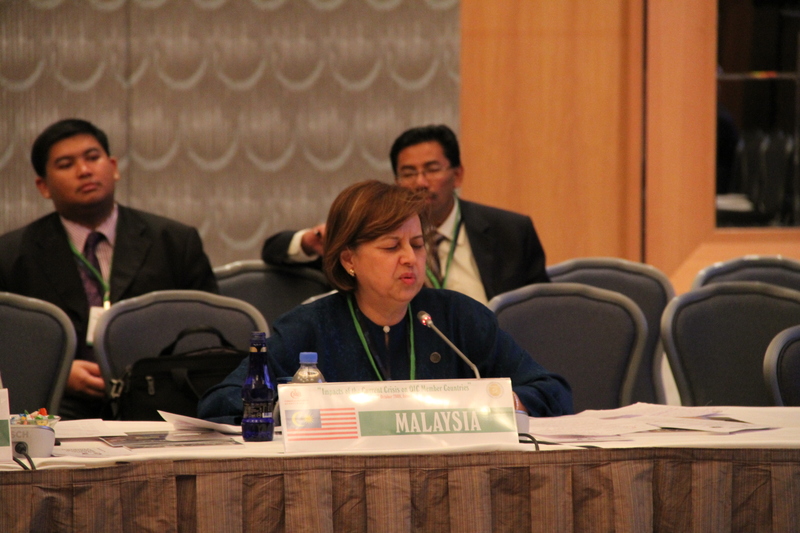 Dr. Muhammad Al-Jasser, Governor, Saudi Arabian Monetary Agency; and Dr. Zeti Akhtar Aziz, Governor, Central bank of Malaysia; Dr. Darmin Nasution, Acting Governor, Bank Indonesia; Mr. Grigoriy Aleksandrovich Marchenko, Governor, National Bank of Kazakhstan; Mr. Sultan Bin Nasser Al Suwaidi, Governor, Central Bank of the UAE; and Mr. Philippe-Henri Dacoury-Tabley, Governor, Central bank of West African States participated as panelists. 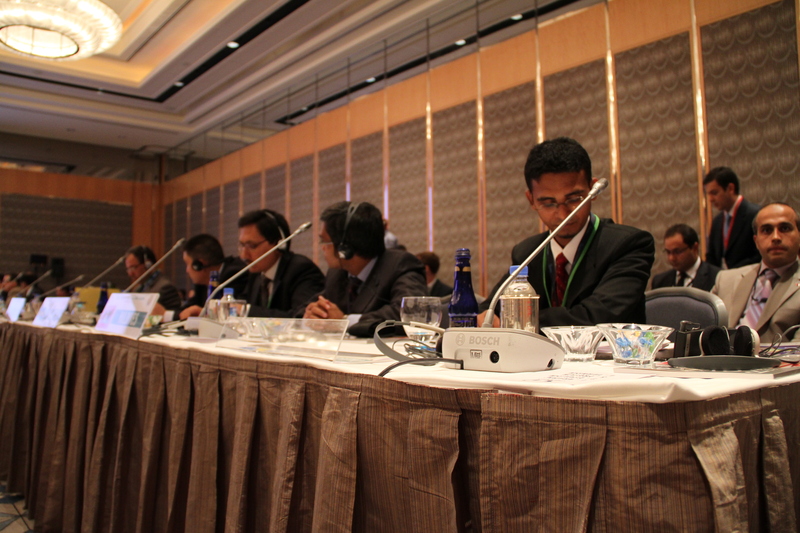 The Meeting was followed by a keynote address by H.E. 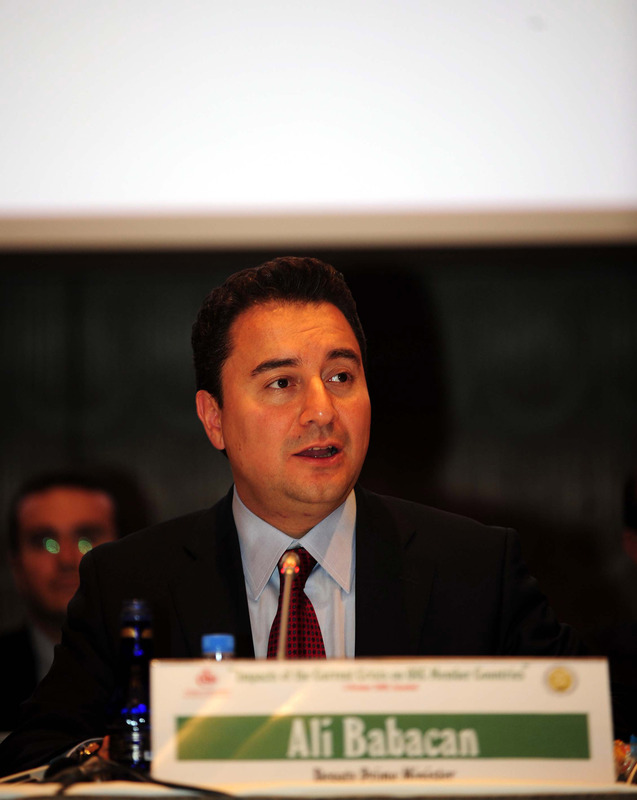 Mr. Ali Babacan, State Minister and Deputy Prime Minister of the Republic of Turkey. H.E. 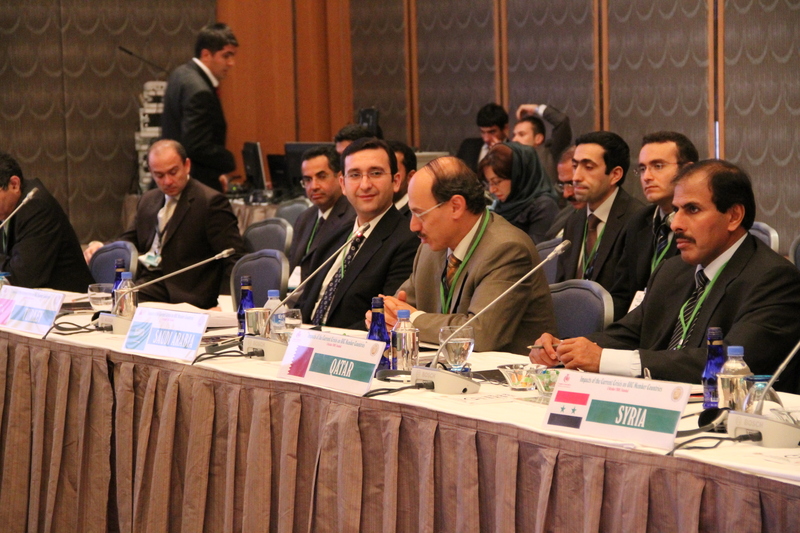 Mr. Babacan briefed the meeting on the crisis and the various measures taken worldwide to overcome it. He mentioned that the crisis was rooted in the developed countries and that none of the developing countries could be blamed on the causes of the crisis. Minister Babacan said that there should be a global exit strategy for the crisis and that the involvement of emerging and developing countries in the efforts towards this exit is very important. In this context, he briefed the meeting on the efforts which have been taken within the framework of the G20 and mentioned that Turkey is willing to represent the views of the member countries who are not involved in the G20 and ready to promote and support their interests in this fora. Minister Babacan also briefed the meeting on the impacts of the crisis on the Turkish economy and the various policy measures taken to ease these impacts. In particular, he talked about the reform programmes which the government have been taking since the 2001 crisis. Minister Babacan concluded his address by emphasising the importance of such meetings among the Central banks and Monetary Authorities of the member countries and mentioned that the regular meetings of these important institutions would undoubtedly come up with very fruitful ideas of cooperation among the member countries in this vital area. 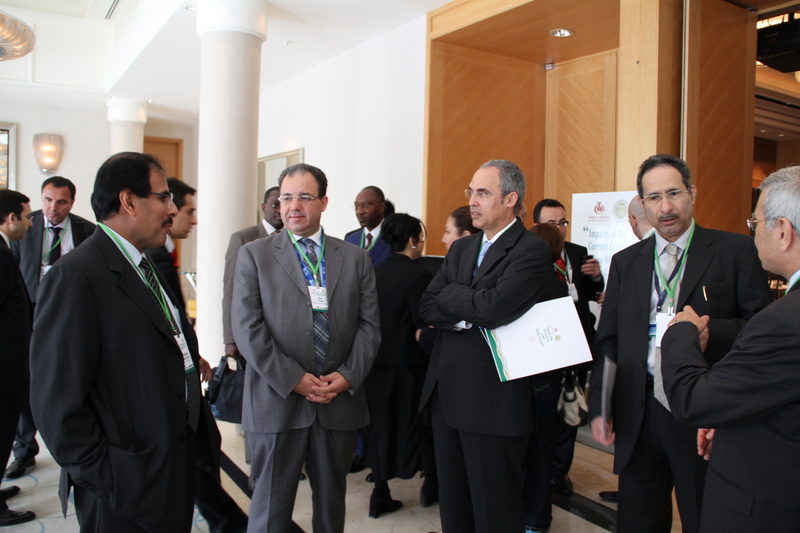 Inspired by the agreements they reached, the Governors of the Central Banks and the Heads of Delegations adopted the Final Communiqué in which they decided to convene the Meeting of the Central Banks and Monetary Authorities of the OIC Member Countries on an annual basis. 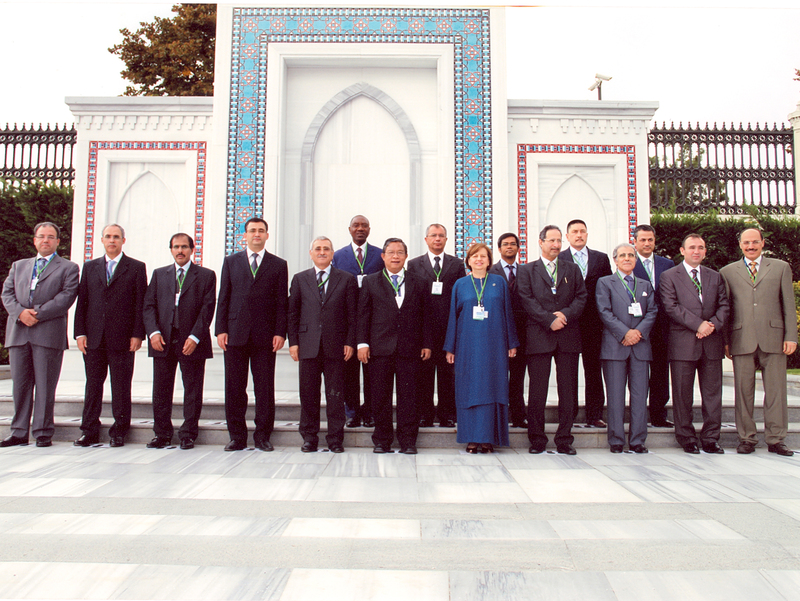 They also decided that the next Meeting of the Central Banks and Monetary Authorities of the OIC Member Countries shall be held in Turkey in September 2010.